Everybody has had at least one experience in which they have heard an elected official say something incredibly out-of-touch with the reality in which most of us live. Our news media is fond of covering these incidents and for good reason. Hearing such a statement tends to give us a jolt, almost as if we have been shocked. They typically involve an obscenely wealthy politician saying something that makes it clear that he or she has not set foot in a grocery store or driven a vehicle in the last decade, has no idea how hard it is for ordinary people to get loans, or seems genuinely confused by how anyone could have money problems. "Can't you just borrow it from your family?" John Kerry and Mitt Romney often seemed to be good at this sort of thing, but there are far too many examples involving both Democrats and Republicans. At the time I am writing this post, Secretary of Commerce Wilbur Ross was recently characterized as the latest example when he seemed confused that some federal employees affected by the partial government shutdown would need to utilize food pantries. I didn't think it was a great example, but we probably won't have to wait too long for another. Someone else will come along soon enough with a better one. These things happen because many of these politicians do inhabit a reality that is vastly different from ours. We have little understanding of their environment and they of ours. We tend to forget this until we hear one of these statements, but it is important to remember. We will continue to hear these statements for as long as we insist on making access to the political process so dependent on wealth and elevate the wealthy above the rest of us. In many ways, the jolt we feel when we hear a politician make one of these statements is what I experience when I hear a Christian refer to "God" as if there is only one thing to which he or she could be referring. I always wonder which god he or she is talking about. Humans have worshipped thousands of gods, and many different gods are still worshipped today. It seems so out-of-touch for the Christian to make such a reference. Using "God" as a name strikes me as the height of arrogance. Gods have names, so what is the name of yours? If you refuse to name it, I think I'll assume you are talking about Odin. He seems like an interesting god, and there is just as much evidence that he is real as there is for any other god. Don't like that? 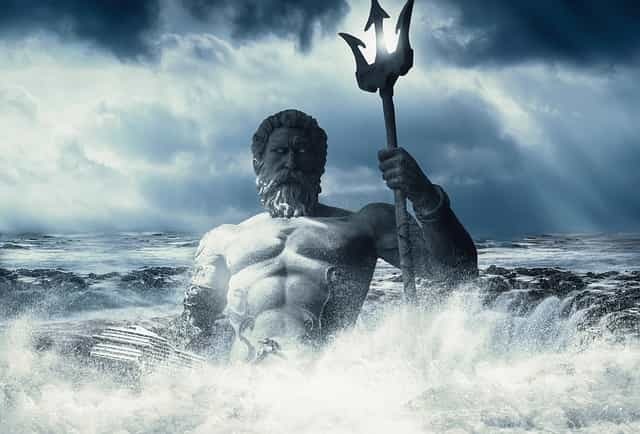 Okay, how about Poseidon? He seems like another interesting one. At least, he did before someone decided that we needed an Aquaman movie and then had the nerve not to cast the kid from Entourage as the lead. Are Christians as out-of-touch with reality as our wealthy politicians? Maybe they are. Then again, I suspect that what we are seeing here, at least in the United States, is primarily the result of Christian privilege. The Christian assumes that everyone knows which god he or she is referring to because it is the same god in which everyone believes. There is no perspective-taking because Christianity is assumed to be the default. I like to think of Christian privilege as a very large balloon. It is so big that it fills the room, pushing up against everything in its path and making every non-Christian uncomfortable. But like a large balloon, it can be popped. And popping it can sometimes be as simple as putting some thought into how we speak or asking questions designed to uncover some of the unwarranted assumptions being made. As far as I'm concerned, this balloon should be popped as many times as is necessary for it to go away.